With spring weather getting in gear, it’s that time of year when you can go from feeling great to sick without a moment’s notice. 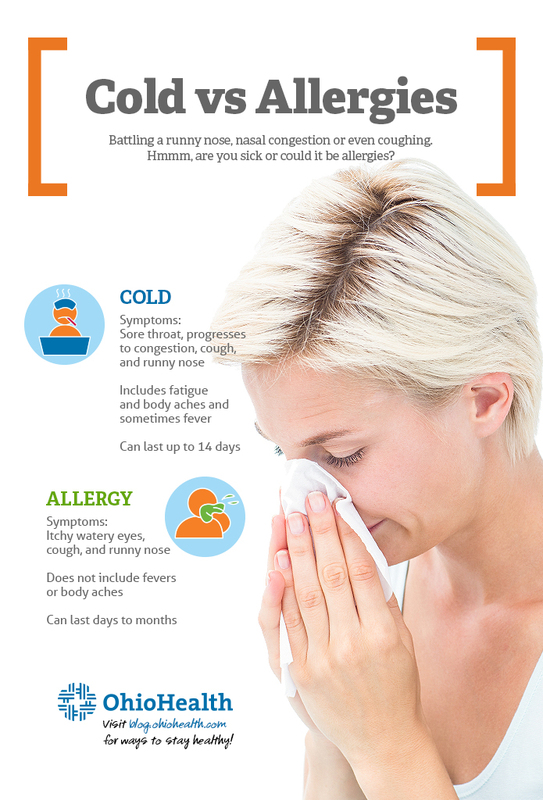 Suddenly, you could find yourself battling a runny nose, nasal congestion or even a cough, all of which are symptoms common to both colds and allergies. Ashley Chambers, MD, Ohio Health Primary Care, Endocrinology and Pulmonary Physicians, says that although some cold and allergy symptoms are similar, there are a few telling differences between the two. 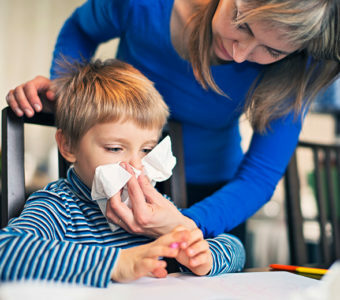 According to Chambers, it can be much tougher to pin down a timeframe for allergy symptoms and allergies, in general, can present a set of problems not typically seen in a common cold. For most people battling a cold, a self-diagnosis should be pretty simple, especially if your symptoms only last for a few days to two weeks. If symptoms worsen or persist longer than a couple of weeks, seeing a physician should be the next step to determining if you’re battling allergies or something more serious than a cold. What to do after your diagnosis? After you’ve been able to determine exactly which condition is causing your symptoms, it’s important to take steps to get your health back on the right track. Although colds typically heal without much medical intervention, there are medications available to ease symptoms during the healing process, says Chambers. Those suffering from allergies, however, do frequently require medications to get relief from nagging symptoms. “Oral antihistamines such as Claritin and Zyrtec and steroid nasal sprays are mainstays in allergy treatment. Decongestants can also be useful in controlling allergy symptoms. Antihistamine eye drops and antihistamine nasal sprays can be helpful as well. Allergy specialists consider allergy shots to help reduce symptoms in severe cases,” says Chambers. Unsure if you’re battling cold or allergies? Visit an OhioHealth Primary Care Physician!